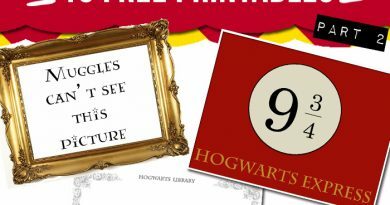 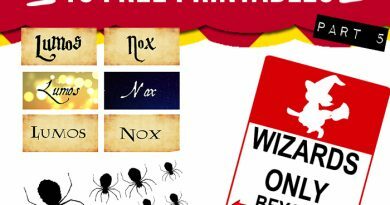 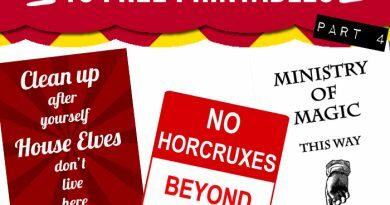 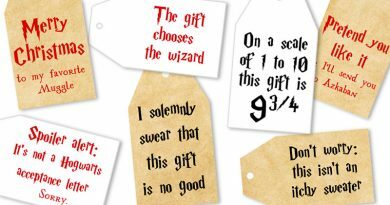 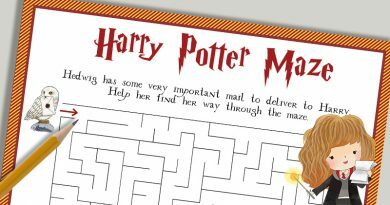 These free printable Hogwarts House Ties will be a perfect party favor or decoration if you’re planning on throwing a Harry Potter themed birthday or any type of Harry Potter themed party. 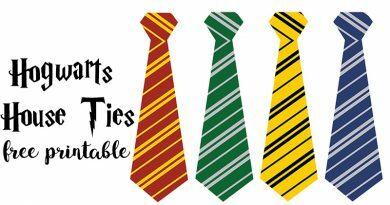 These Hogwarts House ties are a great and easy way to get all your guests in a magical mood and make them all look a little more like wizards. 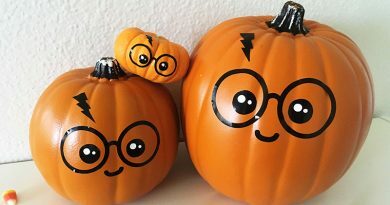 You don’t need elaborate costumes to get kids imagination going, DIY accessories can do the trick! 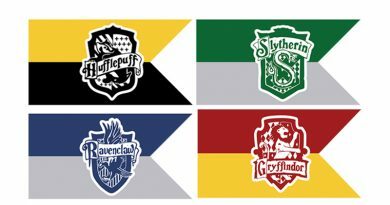 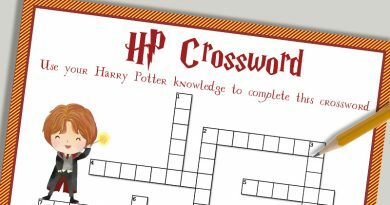 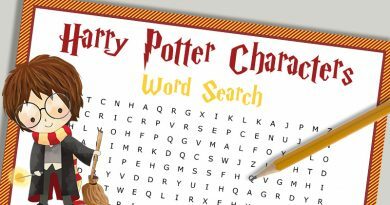 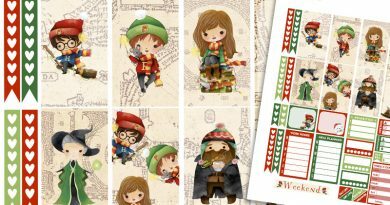 The 4 Hogwarts Houses are included in this printable: Gryffindor (red), Slytherin (green), Hufflepuff (yellow) and Ravenclaw (blue). 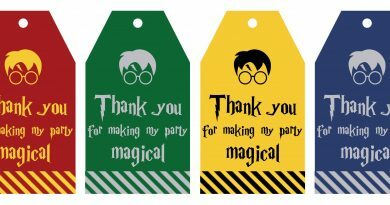 You could use these ties as a party favor, decoration or even as part of a game. 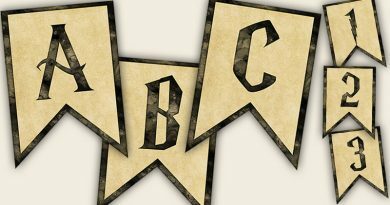 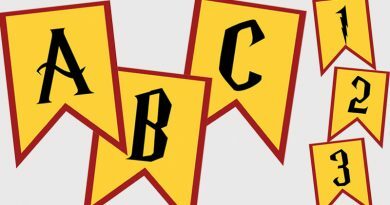 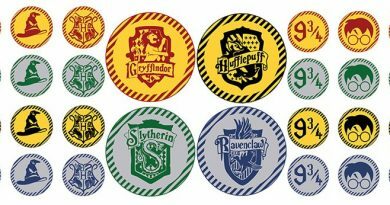 How to use these Hogwarts House ties to create a Hogwarts Houses Competition? 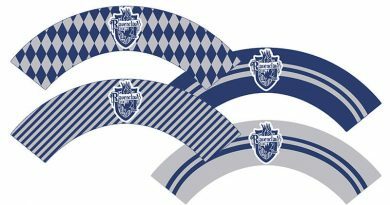 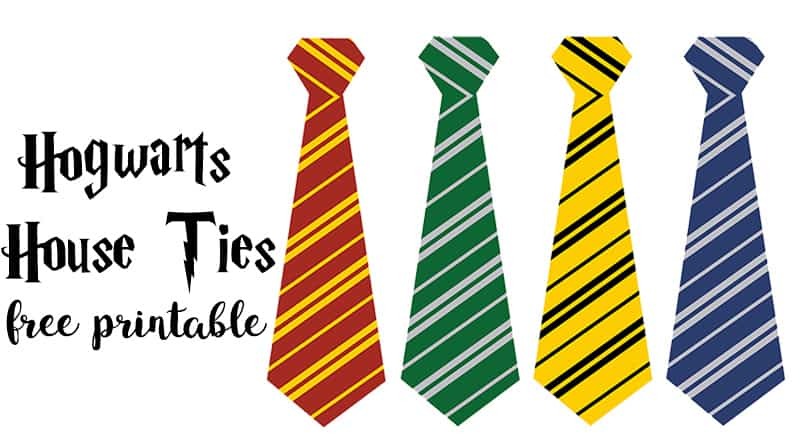 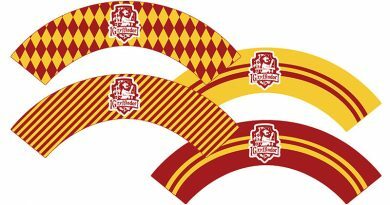 If you’re planning on having team games/challenges at your party, you can use these Hogwarts House ties to represent 4 different teams. 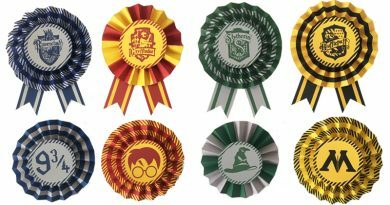 You could then have different challenges and the best team/House ends up winning the Wizard tournament or the House Cup! 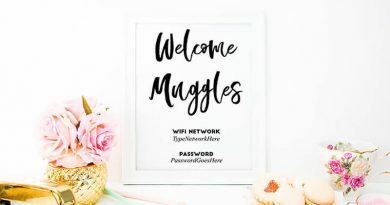 You could even imagine some “Sorting Hat” method to divide your guests in 4 equal teams: place your ties in a hat and have your guests pick one without looking. 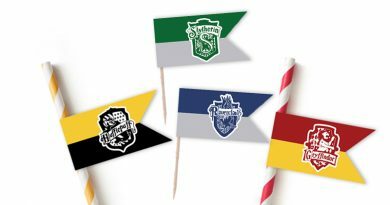 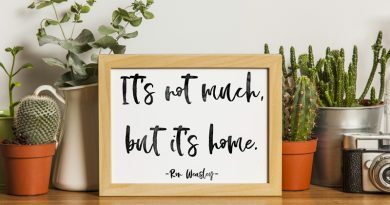 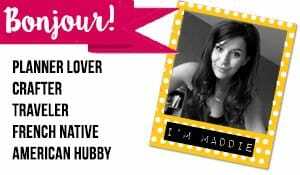 You’ll end up with your guests divided in 4 equal teams. 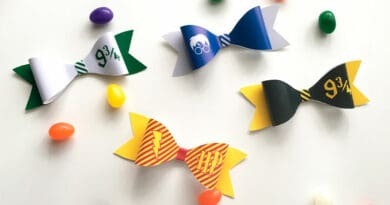 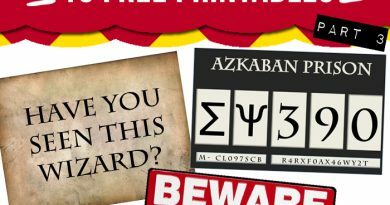 If you’re planning on doing something like that, you could also choose to place my free printable Harry Potter Award Ribbons in the sorting hat, and then give each guest the matching tie (let’s say “guest A” picks a slytherin award ribbon brooch, you’ll then give him a Slytherin tie – he belongs to team Slytherin, etc). 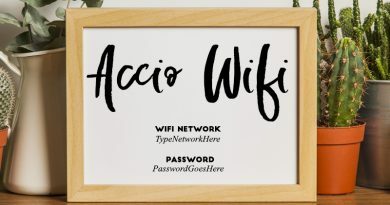 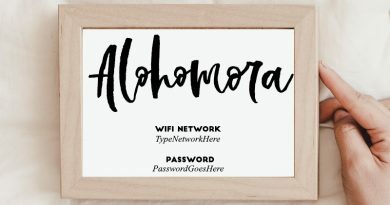 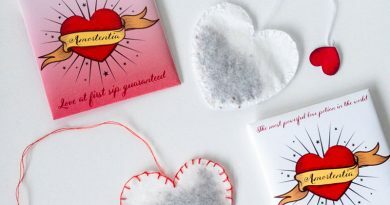 This way your guests will have 2 party favors instead of one. 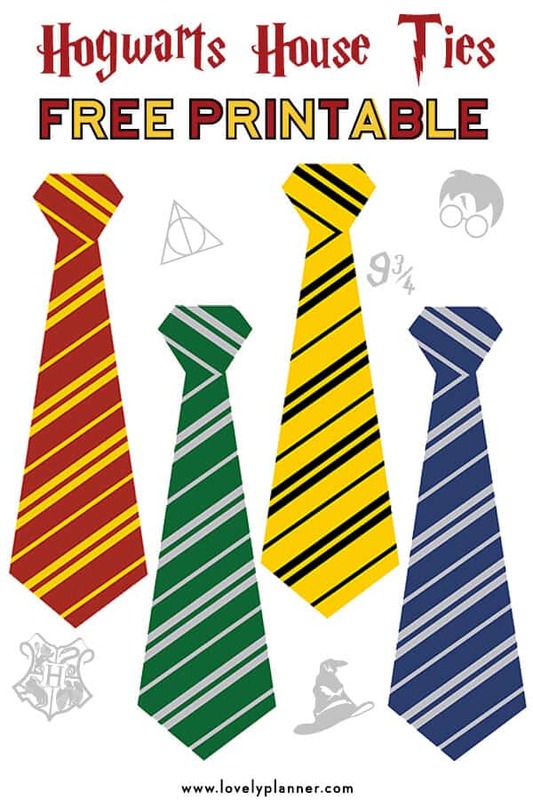 (here’s my best tip to print for free or super cheap) and cut each tie. 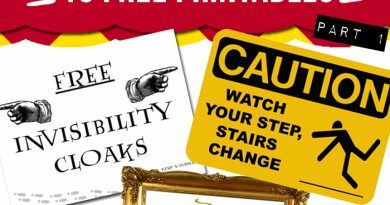 You can also laminate them to make them more resistant if you’d like. 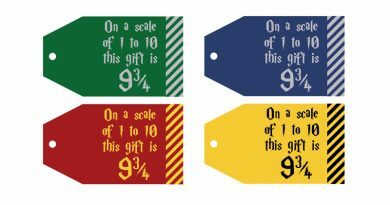 on the back of each tie (but kids will have to be extra careful).